These carvings are ﻿NOT﻿ mass produced. Each piece pictured is the actual piece carved by me. This hook is made from an Alligator osteopath, also known as a scute. It’s the bony back plate. 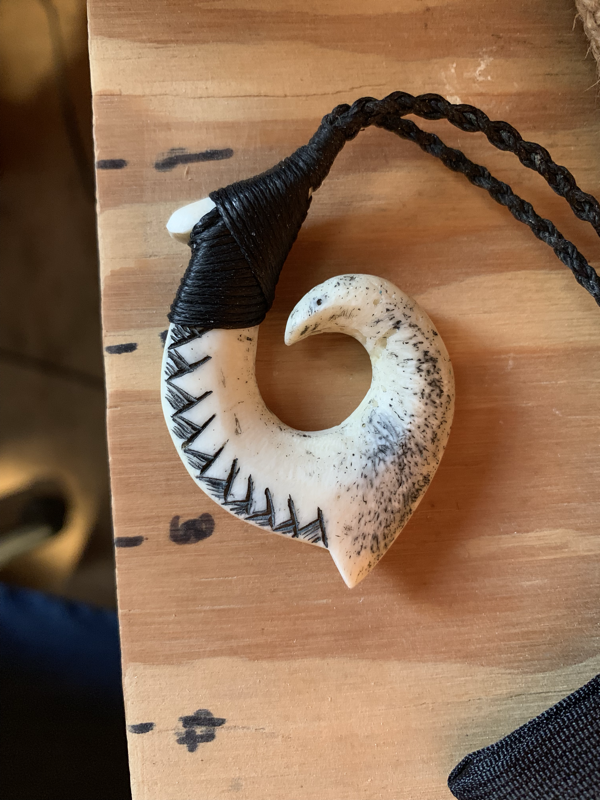 It has a traditional Polynesian lashing which keeps the pendant secured to the necklace. 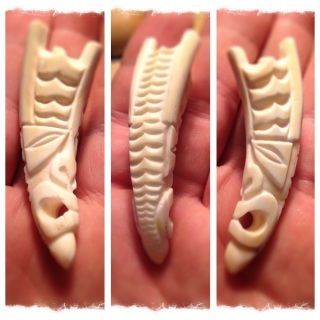 This Hawaiian Lono style Tiki is made from warthog tusk (ivory). It comes with a hand braided 4-ply necklace made from waxed polyester. Lono is identified with rain and plants as the god of fertility. He is also a deity for music, and peace. 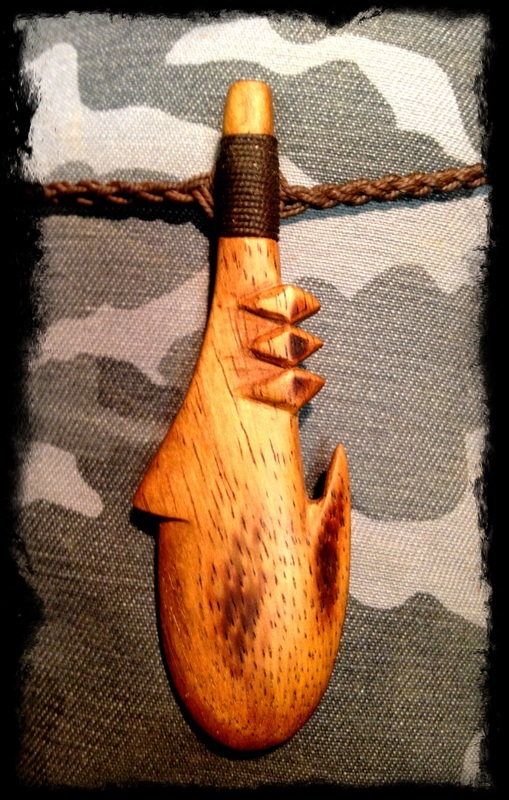 This pendant sized war club (3 inches) is made from Brazilian Rosewood. It has an amazing golden shimmer in the light. The lashing is a technique that I came up with to create a nice clean look on the front while retaining strength. It is lashed using 8 strands of waxed cord. Emerald is a lifestyle brand representing all that is good and great about life on the North, South, East and West of Ireland. We design top quality surf and casual wear with a focus on Irish culture and Irish lifestyle. The design and style of our clothing collections are intended to display Irish surfing and particularly Irishness for what it is - a unique blend of cold water, historical backdrops and epic days! We don't have palm tree, tropical beaches or year round sunshine but we have something of our own, something unique - cold, heavy, windy weather that produces waves in magnificent locations that have remote, peaceful and desolate tranquillity. It's our little island and we are proud to call it home.